What about scaled drawings, 2:1 etc Simple one page PowerPoint. A nice series of orthographic to isometric videos on YouTube. 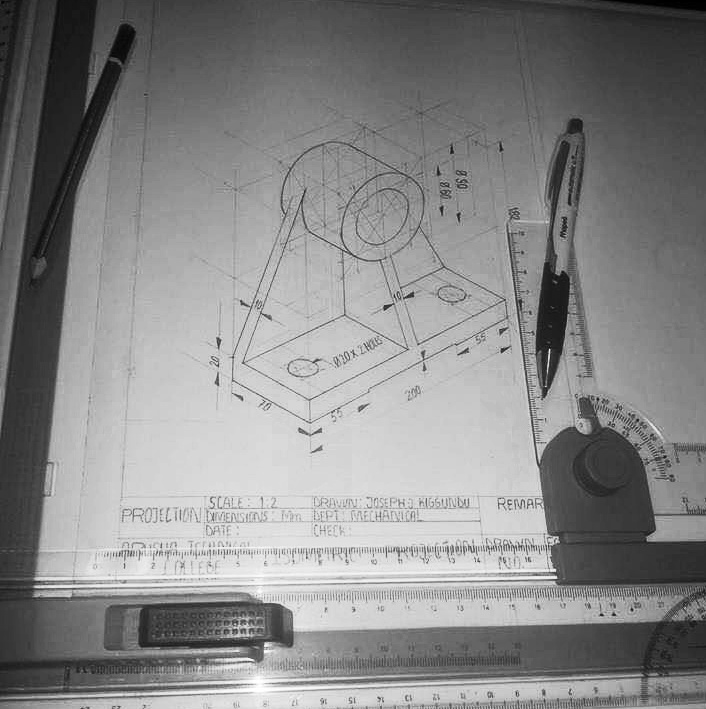 Using Autocad 2008 for convenience but paper and pencil fundamentals are the same. Note the switched front view and top view in this presentation. This drawing is from an overseas college. The isometric practice is done on drawing boards the world over. Spot the ability in the isometric holes? The bolt holes isometric are on a different axis to the main bore hole. But only a small percentage of students will put the effort into doing it correctly. The link between detail and neat drawing and electronics aptitude is a very high correlation. So it goes to follow that electronics training is difficult for students who struggle to do drawings like this one.